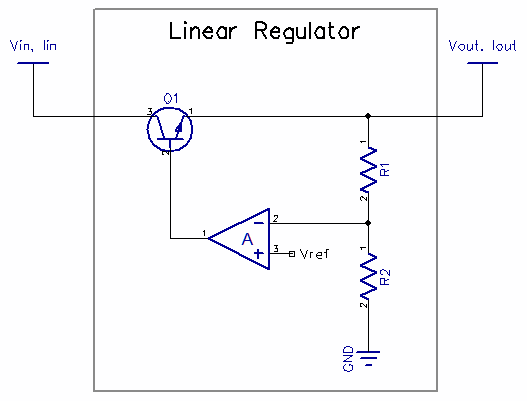 This page covers in depth everything you need to know about linear regulators. Linear regulators are very old tech still in widespread usage today. They come from a simple need: getting a stable voltage output from an unregulated, higher input voltage. Typically this kind of unregulated voltages are obtained from a power transformer. Their invention stems directly from the first bipolar transistors has all linear regulators make intensive usage of both N and P type BJTs as we are going to see below. In the figure above, the voltage at the emitter will be equal to the voltage at the base minus a base-to-emitter drop; typically a diode drop or ~0.6V. Unfortunately this would not hold well. The unregulated power supply will drop voltage under load -that’s why they’re called unregulated in the first place-; and so the simple divider circuit will not keep an accurate reference voltage. 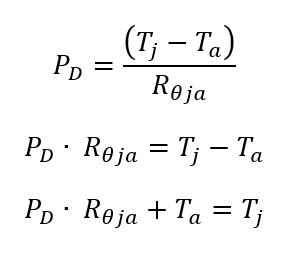 In addition, you’d be severely limited by the gain of the transistor and there would be a huge power loss across the resistors if the chosen values are too low. This basis of operation is how all linear regulators are built: a precise reference voltage as the base of a bipolar junction transistor. However, this is still far from perfect. By choosing Rfb1=Rfb2, we obtain a gain of 2. With 2.5V at the non-inverting input, we get 2.5*2 at the output which is a precise 5V. 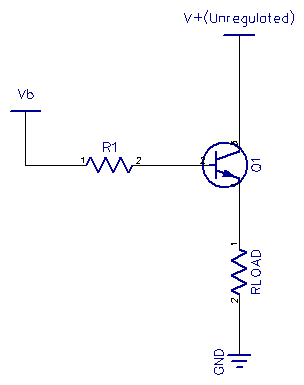 Now, the problem with the schematics above is that an operational amplifier can typically barely source about 20mA. 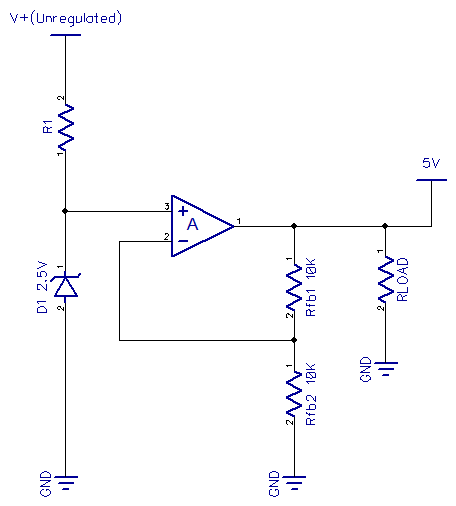 The last step is therefore to buffer the op-amp output for higher current. 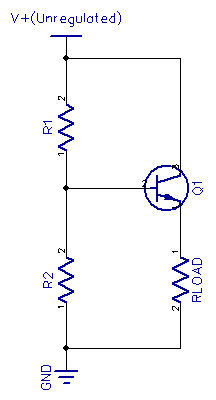 This is done by adding a simple bipolar transistor; completing this design with what is commonly referred by audio enthusiasts as a “Class A Amplifier” –except the the voltage at the amp is a precise reference instead of audio. This design will always produce a stable output. 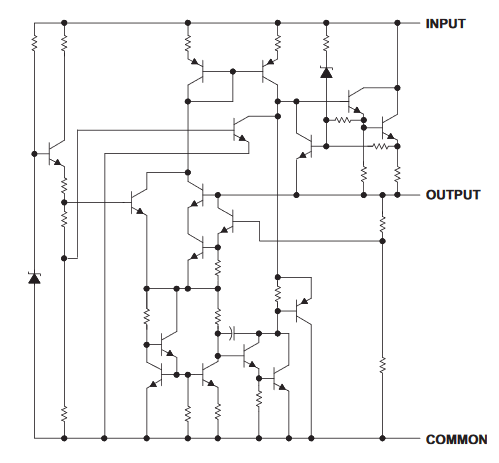 UA78xx: an actual linear regulator design. Schematics by Texas Instruments. In practice,Vin is always chosen to be far superior than Vout+Vdropout, by say, 0.5V. As always, designers tend to avoid operating a device close to its maximum electrical characteristics as it’s the best recipe for disaster. Vout+Vdropout comes out at 4.4V, leaving about 0.6V of margin. Considering USB voltages can easily drop to ~4.8V with long cables, this is typically a good use case but without much headroom after all things considered. 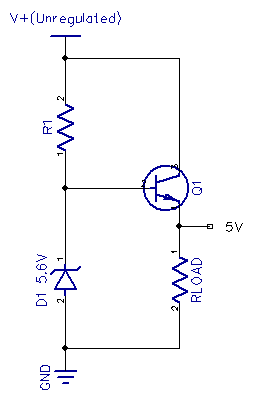 This dropout voltage depends on the regulator, but also on the load being regulated. 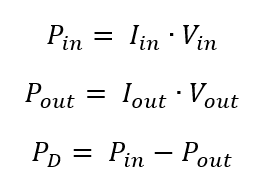 As a rule of thumbs, most designers consider the drop out to be constant regardless of load; but it’s good to keep in mind in case you are designing a circuit with very little difference between Vin and Vout. LM1117 Dropout curve: from ~1V under no load to ~1.2V at 800mA. Linear regulators have drastically improved since the first designs from the 70s. A LM7805 from 1976 for instance had a dropout voltage of 2V. Today we can find sub 500mV dropouts devices. These newer regulators are typically referred to as LDOs for “Low DropOut“. There is no legal definition as to what constitutes a LDO so the meaning might differ from manufacturers to manufacturers. However, LDOs typically have intrinsic differences with their older brothers; with many including modern features such as automatic thermal shutdown or overload protection. Now let’s address the elephant in the room and the reason why linear regulator are not always a good choice: wasted power. 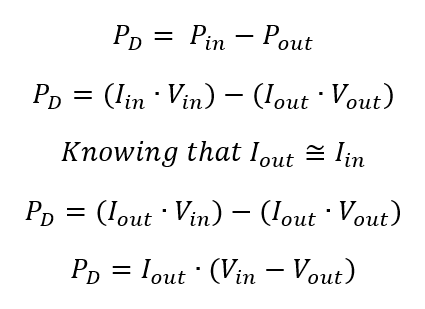 With this simplified schematics, and using Kirchoff’s current law we can observe that the input current must be almost equal to the output current (minus the feedback circuitry which should be in the micro-amp range). 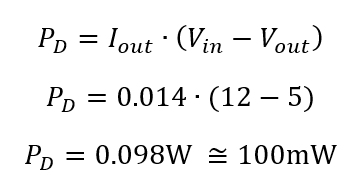 This result is very important; you can clearly see that the dissipated power in a linear regulator is directly proportional to the current it provides. In addition to that, the bigger the dropout voltage, the bigger the power dissipation. Quiescent: For an electronic circuit, a quiet state in which the circuit is driving no load and its inputs are not cycling. Most commonly used for the specification “quiescent current,” the current consumed by a circuit when it in a quiescent state. We now know the Arduino will lose about 100mW of power in its regulator. We also have to keep in mind that this is just the power dissipated doing absolutely nothing with I/O. Using SPI, I2C, or simply sourcing current for the onboard LED for instance will typically increase the power consumption of the ATMEGA chip. We used 14mA in the calculation above but in fact the chip has an absolute maximum rating of 200mA current. The last thing we need to know now is how this lost power translates to heat and calculate if there is a risk that the regulator might just burn off (or more likely shut down due to thermal protection). 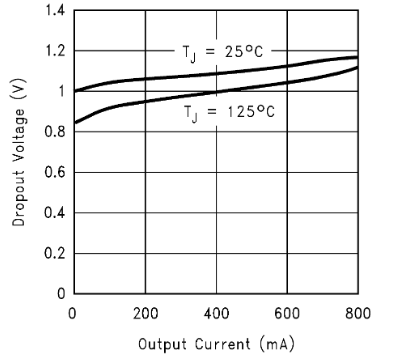 How does dissipated power relates to heat? The SOT-223 package used in the Arduno Uno will dissipate at most 0.78W of power. At a typical 100mW; the regulator is well within its recommended operating conditions. 41C (106F) isn’t very high but you can see that linear regulator can rapidly get toasty. At 500mW we would get for instance 105C (221F): more than enough to burn your fingers. How linear regulators are working. The “drop out voltage” and how to operate the regulator within its recommended conditions. How to calculate power wasted in the regulator. The direct translation between wasted power and heat rise that can measured on the regulator itself.